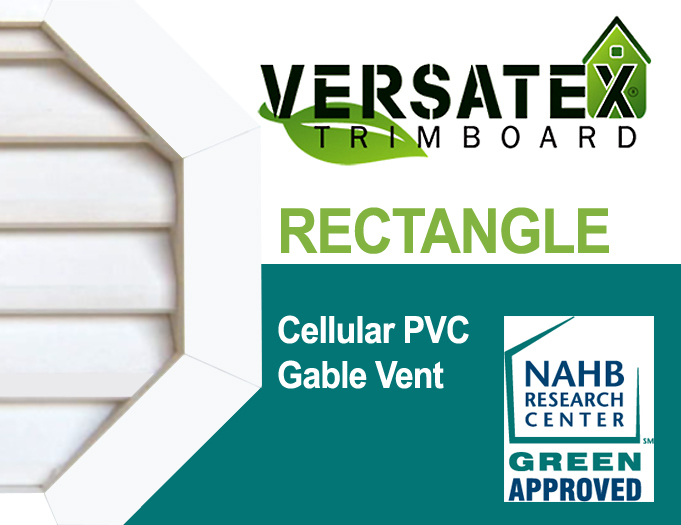 VERSATEX Brand Cellular PVC is the premier choice for synthetic wood. It has the look and feel of real wood. It's about the same density as White Pine, so it doesn't have that hard plastic sound when tapped nor is it cold to the touch. Items we cut from Cellular PVC have the same crisp corners as our wood items. There are no air bubbles or other voids and it's the same semi-matte white color throughout. 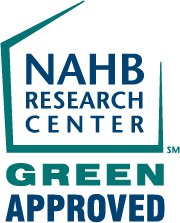 VERSATEX is a HAHB Green Approved Product. When calculating your Octagon order size please order to the size of your rough opening. We will reduce your order size by a standard 0.5" on the width and height dimensions to make sure our louver box fits your rough opening. Example: your rough opening is 16"w x 36"h. We will make a louver box size of 15.5"w x 35.5"h with the trim overhang of 1 7/8". - The gable vent is mounted by nailing through the face trim into the siding. - All gable vents are fitted with aluminum screening on back of louver box. - The Octagon vent box mounts through the rough opening, face trim is used for securing vent to exterior wall. - Order size for standard mount is the size of your rough opening. We undersize the louver box by half an inch. Trim overhangs box by 2". 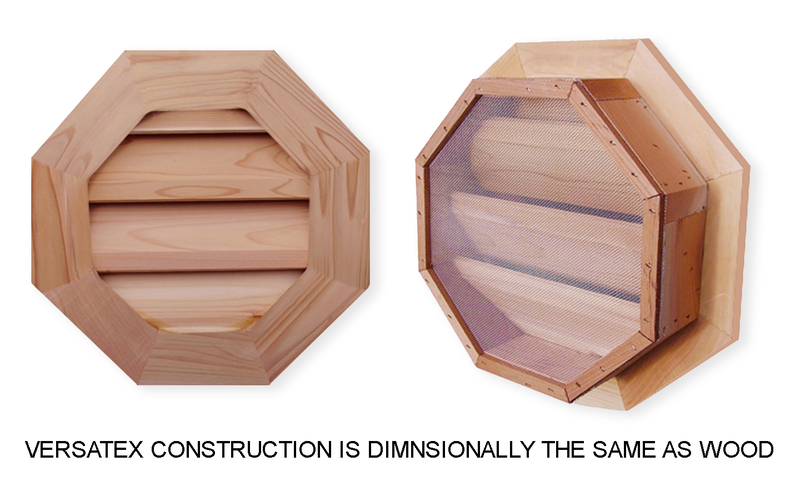 - The vent box is constructed of 3/4" x 2 3/4" material and is 3" deep. - The face trim is attached to the front of the vent box. The 2 3/4" flat trim over hangs the vent box 2". - The louvers are 3/4" x 3 1/2" set in the vent box at a 30 deg angle. - The louvers are spaced 3" apart and overlap each other 3/4". - Vent box mounts flush to exterior wall. Secured through face trim. 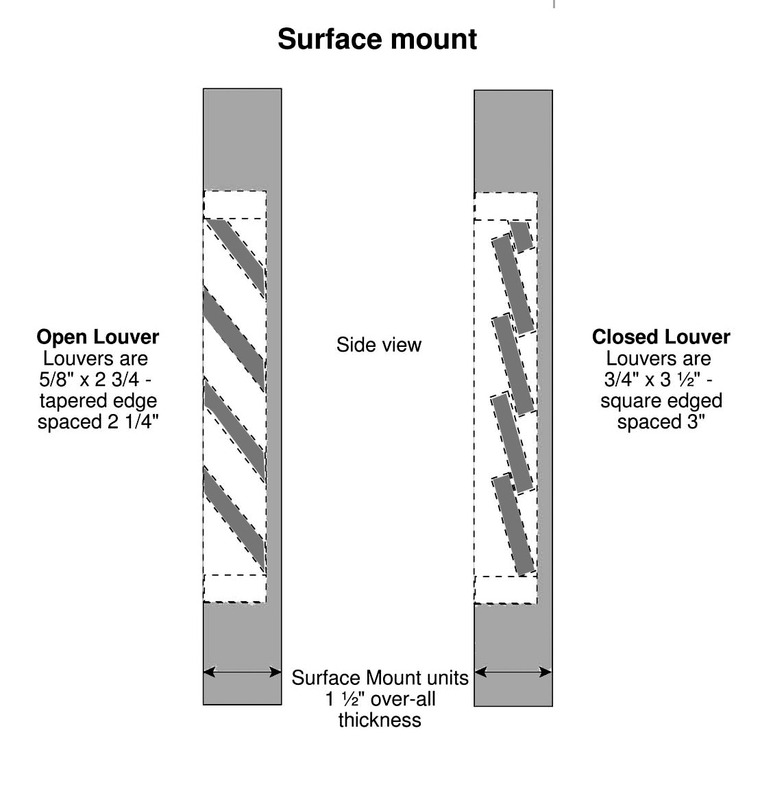 - Order size for surface mount is outside to outside trim edge size. For example a 24" surface mount has a measurement of 24" from side to side. - The louver from face trim to back of louver box is 1.5" deep. - The vent box is 1 1/4" deep. 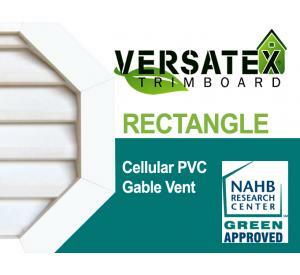 - The 1.5" face trim is attached to the front of the vent box overlapping vent box by 0.25". Square edge profile only, no other profiles are available. See drawing. - The louvers are 1/2" x 2 3/4" set in the vent box at a 30 deg angle. - The louvers are spaced 2.25" apart and overlap each other 1.2" or they can be closed, see drawing. - Standard - Square Edge measures 2 3/4"w x 3/4"h and is attached to the front of the 3/4" x 3" deep louver box. Trim overhangs box 1 7/8". Edges of trim are square. - Brick Mold - Standard measures 2"w x 1 1/8"h and is attached to the front of the 3/4" x 3" deep louver box. Trim overhangs box 1 1/4". See specification sheet for profile. - Surface Mount trim comes standard square edge. No other option available. The oxygen index of VERSATEX is 35%. An oxygen index in excess of 26% denotes a material that is self extinguishing which means a fire will not continue to burn once the flame source is removed. By comparison, wood, composites and other plastic building materials carry an index below 26%. VERSATEX is a self extinguishing material that will not burn once an active flame source has been removed. Pricing in the pulldown menu are just a few of the size we offer in the Octagon. Our vents are made to order, for large orders please allow up to 10 working days to ship. Returns are subject to a 50% restocking fee. WE MANUFACTURE TO ANY SIZE OR SHAPE.